Could Copper Brown Be the New "Industrial" Neutral? 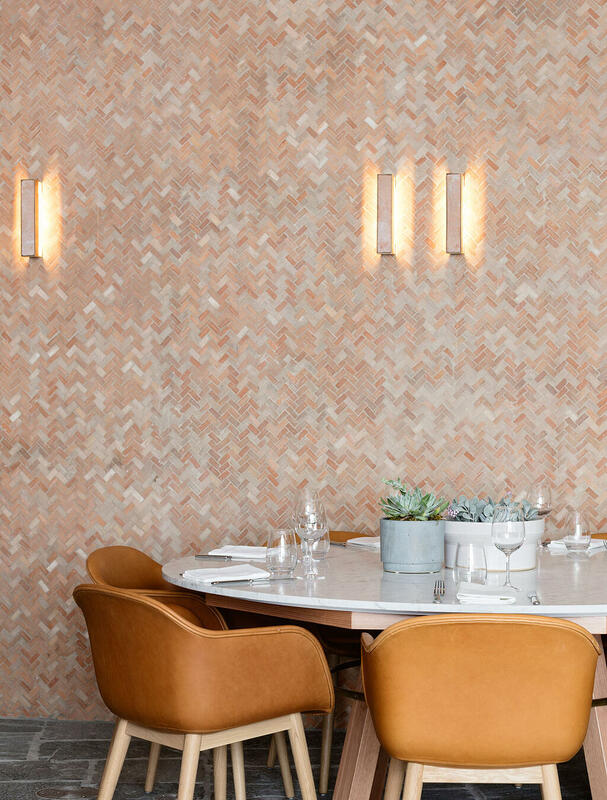 The last decade of restaurant design threw us head-first into the world of heavy industrial--from edison bulbs to exposed brick to raw metals and finally reclaimed, dark woods. In more recent years, the trend has gone mainstream. What once was a reserved for the grungy warehouses turned bars of NYC, quickly found its way into polite suburban neighborhoods, echoing its own death sentence upon arrival. Finally, it feels as if this season is heralding in a refreshing, new take on the industrial aesthetic, one that is more earthy, a little softer, and and dare we say, even pretty? We’re seeing spaces embrace paler palettes like at The Little Octopus and unexpected color combinations. While these new restaurants feel more refined, they still capture the hardworking spirit of the industrial era. Copper Brown is the new neutral color at the forefront of this refreshed approach, and this rich, earthy color draws inspiration from rusted steel and aged terracotta. 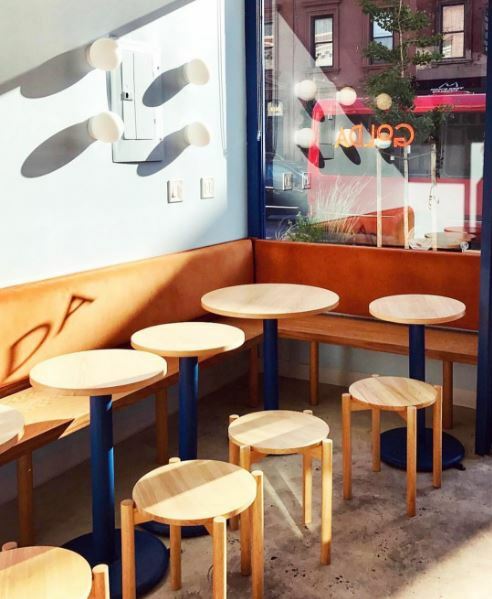 Here are a few ways we’ve seen this color successfully utilized in restaurant design, and to be honest we’re obsessed. When combined with luxurious leathers, moody dark wood stains, and cozy neutral grey tones, this color creates a very necessary sense of grounding. 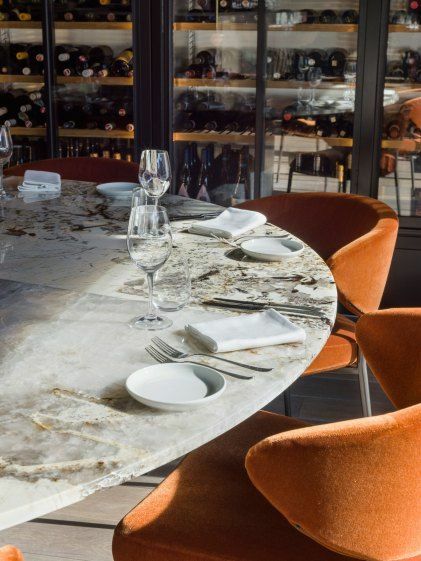 Pictured above, these restaurant chairs have a Mohair-style velvet that just adds to the opulence of this interior, while maintaining the rich, masculinity traditionally associated with the industrial aesthetic. 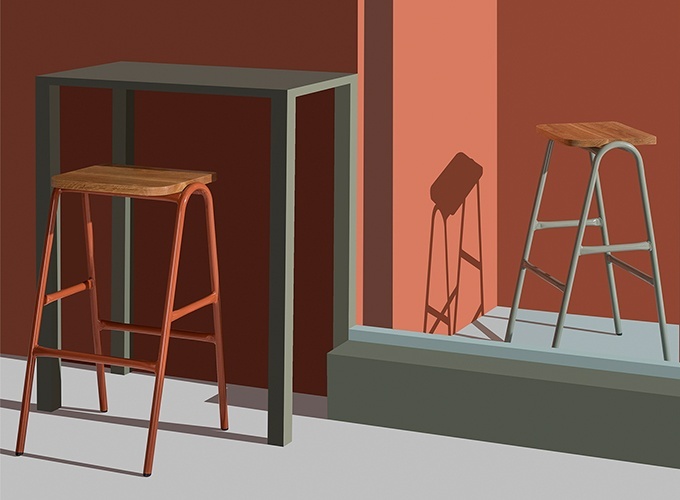 However, when used in sun-soaked cafes and paired with more vibrant complementary colors, as seen in Golda designed by The MP Shift (like cobalt blue or a dusty pink), this burnt orange can exude an unexpected sense of joy and vitality, especially when paired with lighter wood stains. Another great example comes from Sydney at the Buena Vista Hotel, where millennial pink is paired with the most expertly curated finishes to create a charming, rustic environment that evokes a sense of serenity. There is an inherent warmth that this color exudes, whether in the form of leather or a powder coated chair frame, there is no denying the visual impact that has on our senses. Copper Brown is just one of our eight new metal finishes that launched earlier this month available on any of our steel and aluminum chairs and table bases that will make your next restaurant design project stand out. 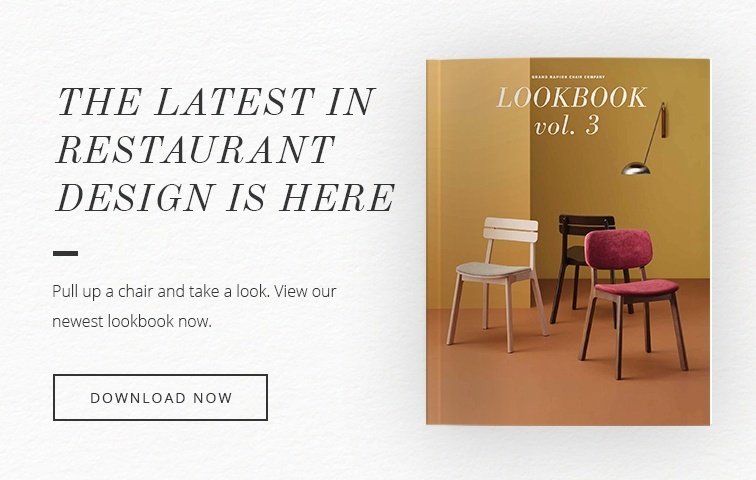 Explore all of our new metal finishes in this year's Lookbook!